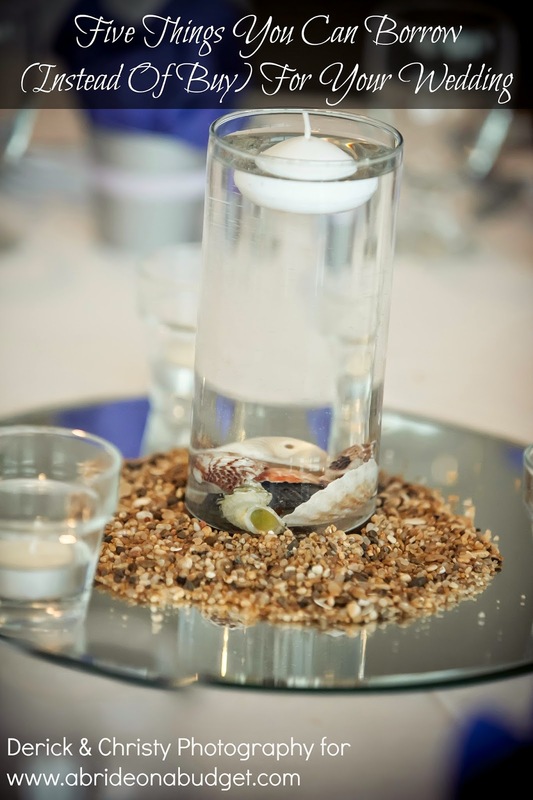 This post is part of our Virtual Engagement Party. These items were sent to ABOAB for review. When you get married, there's such typical stuff you expect to receive, even if you don't put it on your registry. Things like a recipe book, a picture album, and mugs. I actually didn't get the first two at any point during my engagement ... but Hallmark so kindly send them to me after the wedding, so I'm set. I guess Hallmark didn't get the memo that I can't cook. 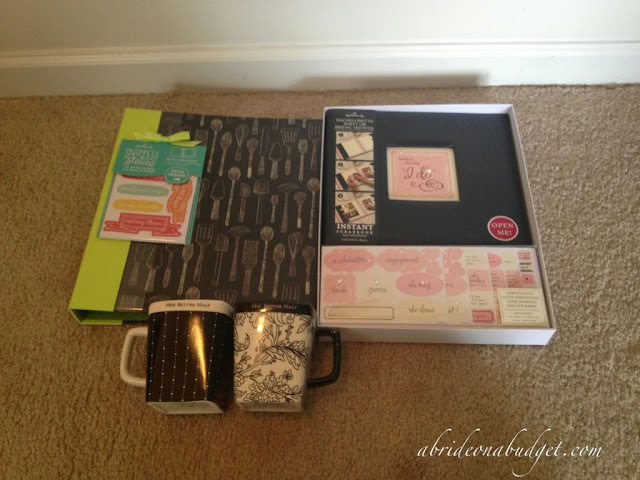 Hallmark sent over the: Snippets & Stories Recipe Binder; the Bachelorette Party Or Bridal Shower Instant Scrapbook; and a pair of His/Hers mugs. 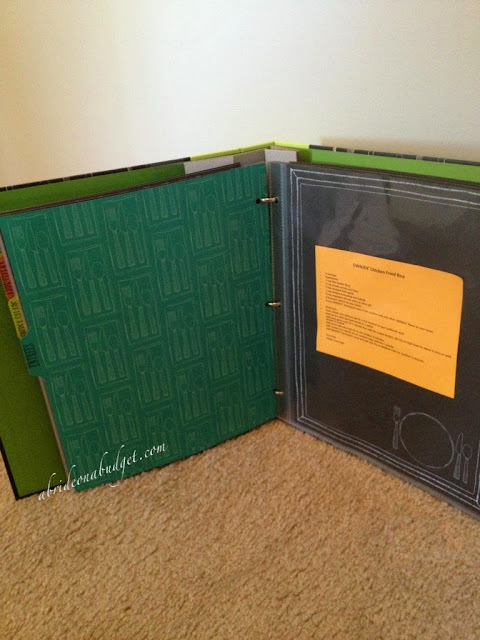 The Snippets & Stories Recipe Binder is gorgeous. It's sturdy enough to stand, which actually shocked me. It's such a necessary part of a recipe organizer. You can just prop it up and read the recipe. I had a bunch of recipes that weren't organized, so I just slid them in the appropriate pages. Yes, appropriate. There are tabs on the dividers, which tell you what section you're in (like appetizers or entrees). Each section has pages to add recipes. You can pull out each page, glue or tape a recipe card down, and slide in back into plastic, which is absolutely necessary because if something pops and splatters, you can just wipe it down. I would suggest doing that instead of trying to hand write the recipes since all the pages are dark. The binder clasps open so if you need more pages than another, you can just move them around. And in the back, there's a huge pocket for loose recipes in case you run out of pages. What's really cute is that pages all have chalkboard-type drawings on them. Chalkboard is super trendy right now, making this perfect for any upcoming showers you're going to. If you do want to grab this for a shower, just check with the bride's mom or maid of honor first. See, many shower invitations will actually come with a recipe card in them. 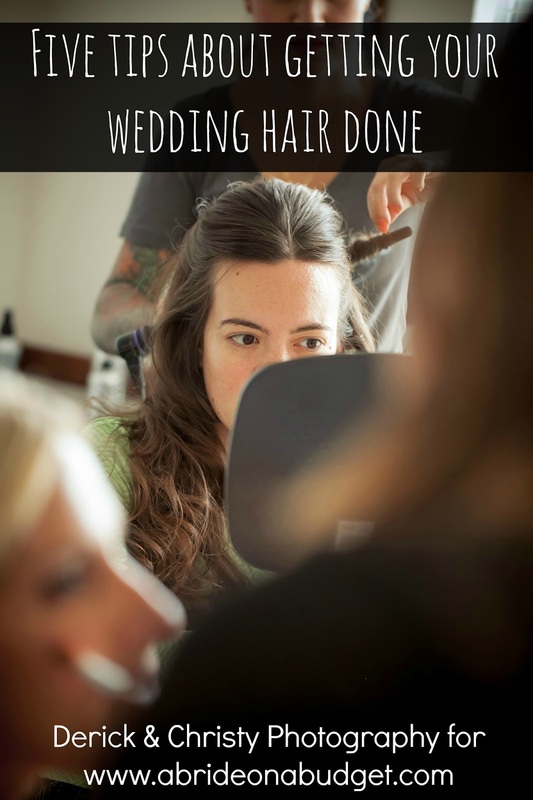 Each guest sends them back to the maid of honor and she'll assemble a book of them for the bride to get her started in the kitchen. If you're looking for recipe ideas, we actually have two on the blog that you can steal: Crock Pot Cheddar Potato Soup and Red Velvet Soda. What I am good at, which is such a good wedding skill, is scrapbooking. 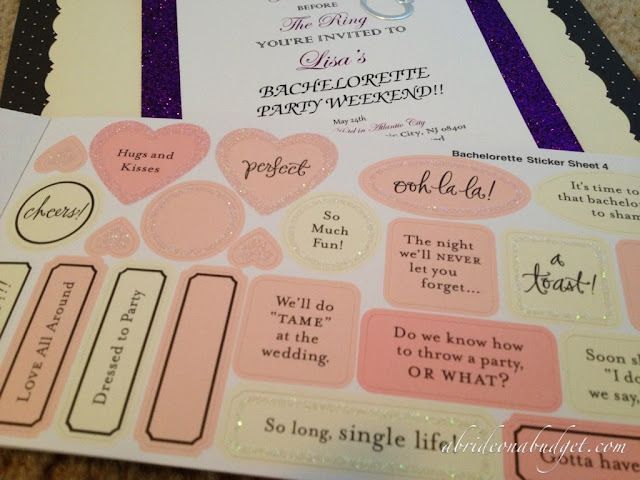 I actually really like it, so I love the Bachelorette Party Or Bridal Shower Instant Scrapbook. It's a soft cover album with a beautiful "before the big I do" on the front in a pretty pink. And yes, there's a little bling because, well, this is all happening because of a little bling. The pages come with other sheets of scrapbook paper cut and affixed to them (you would do this with scrapbook scissors if you had to do it on your own). It also comes with items like ribbon on the page. That's why it's an "instant" scrapbook. The majority of the work is already done for you. 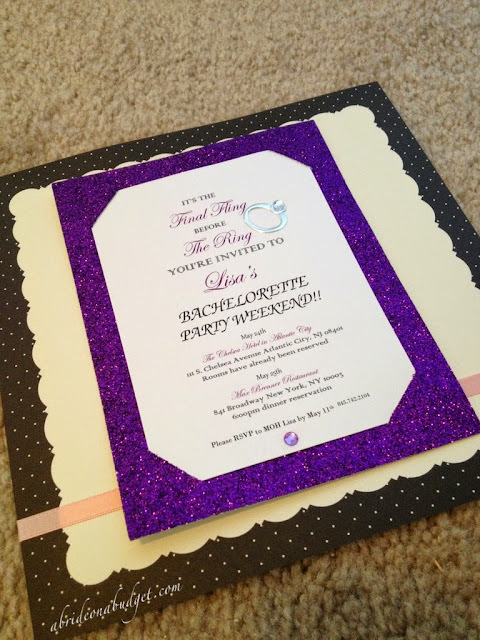 What was great for me is the bachelorette party invitation that my maid of honor made fit perfectly into the book. It's already glittery and has a jewel on it, so it doesn't need any other embellishments. But if I wanted to, I could have added them. There are pages of stickers that come with the book, though. There are many that are done up with glitter and written on, and then there are blank ones in case you want to add any of your own inside jokes. 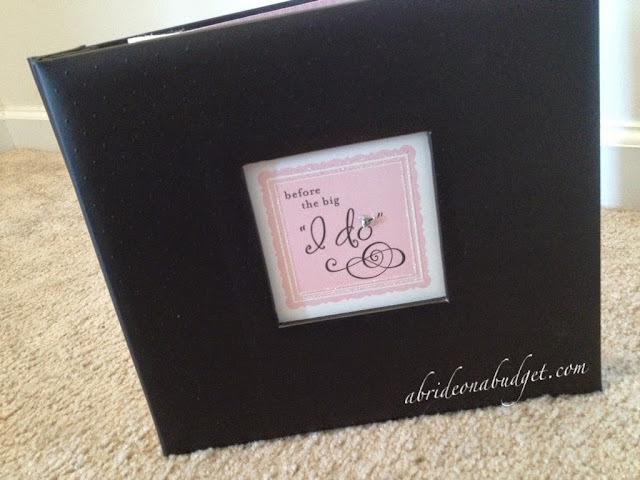 Again, this is stuff you would do if you were putting together a scrapbook yourself, but this makes it so much easier. And if you actually receive this as a gift during your wedding planning, you don't really have time to cut paper and ribbon and add glitter to cut outs. You have just enough time to print photos, assemble souvenirs you picked up at your parties, and put together a great book (that didn't take up a ton of time). And finally, at the end of this post (and the end of our night recently), we had a coffee party. It's something that Pete and I do together a few times a week. It's nice to just take a break and hang out together. And what fun it was to do this with brand new mugs. 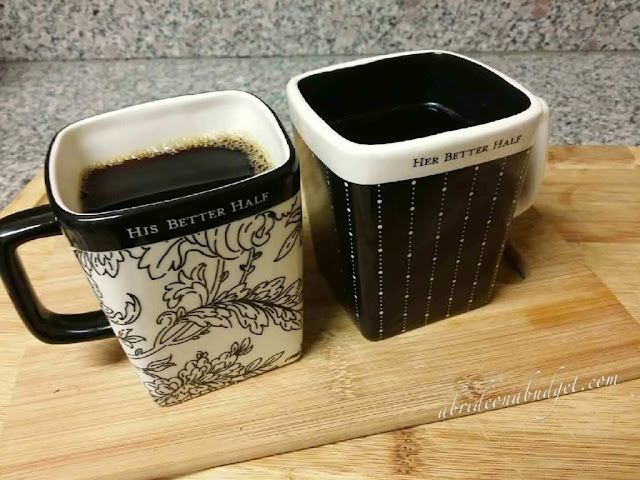 In case you were wondering, yes, we did make sure to use the correct mugs for each other (they say, "His better half" and "Her better half" and that's just adorable). I absolutely love the designs on them too. Black and white is so classy. They are square mugs, which made us both a little confused about how to drink out of them at first. We went with the corners, but, we had an entire conversation about them, and that made me laugh. See, times like our coffee parties, they're time for us to connect. They're not time for us to sit and play Candy Crush or text people. It's time for us to sit and talk. And these mugs helped us do that -- even if a huge portion of our talk was about the mugs themselves. 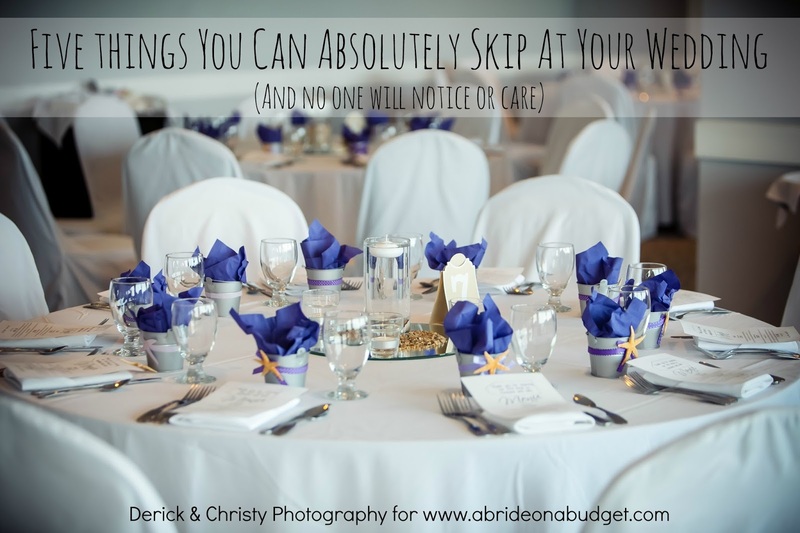 BRIDAL BABBLE: Which of these Hallmark wedding items items would you like best? I can't decide but I think the Bachelorette/Bridal scrapbook!!! 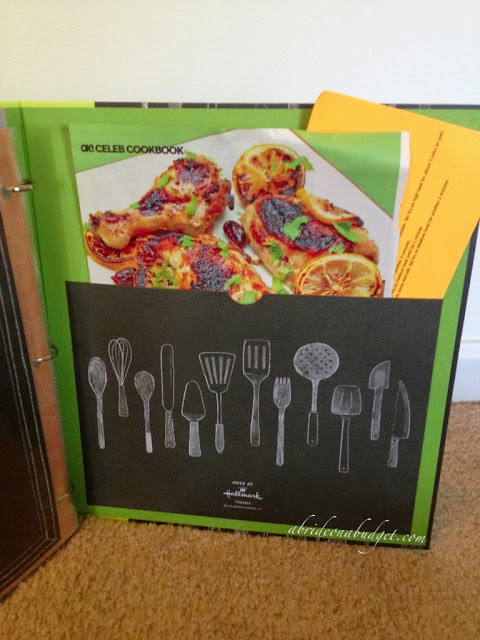 The recipe binder looks so useful! My fiancee and I love to cook together. This is my style to a T! instant scrapbook! i love scrapbooking and havent done it in so long!